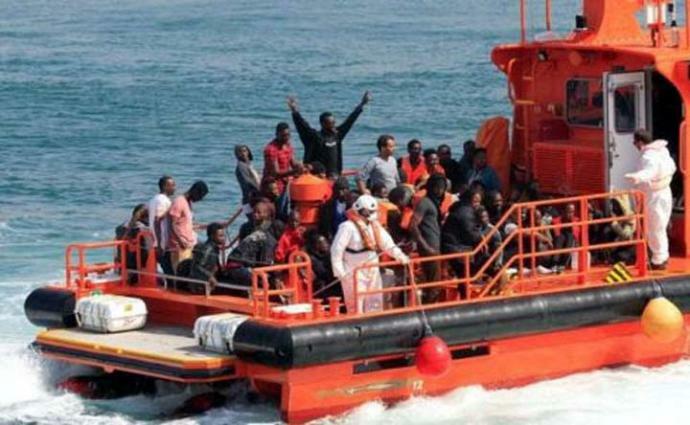 25JUN18 - MÁLAGA.- ALMOST 400 more migrants have been rescued from the Strait of Gibraltar today. 388 people travelling on ten small boats, known as pateras, were discovered making the dangerous journey from Africa this afternoon. One tiny boat was carrying a staggering 40 people and had women on board. Meanwhile the Salvamento Maritimo are still searching for another small boat off the coast Malaga believed to be carrying 54 men. Authorities were alerted by an NGO at 3.45pm this afternoon after the boat left from Morocco heading to the Spanish coast this morning.